Texting My Pancreas: Jerry The Bear's Indiegogo Campaign. Jerry The Bear's Indiegogo Campaign. Our friends at Jerry the Bear are launching an ambitious campaign today: to get a Jerry the Bear into the hands of every newly diagnosed child with T1D. 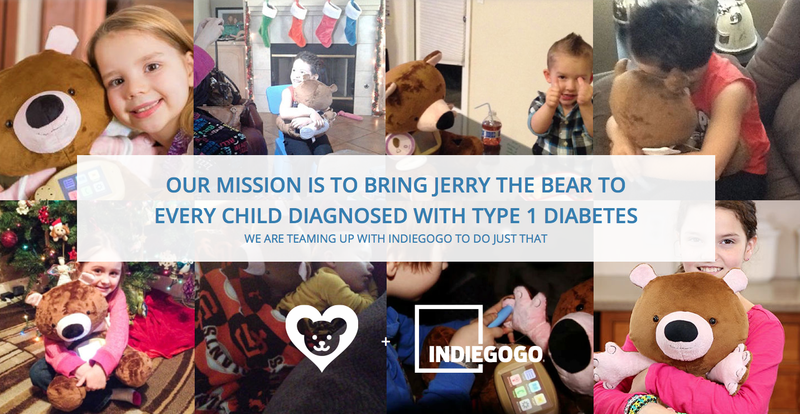 I love Jerry the Bear and I hope you'll considering helping them get a Jerry to every child living with type 1 diabetes. If 10 people contribute to the campaign using your referral link, you will be among the first to receive Jerry the Bear. Review and Giveaway: aDorn Designs. The Emotions Of Insulin Pumping?